Heather Mizeur spent eight years in the Maryland legislature before turning her sights to the governor’s mansion. In 2014, she mounted a bid for the state’s highest office. But she lost in the Democratic primary. Mizeur spent two years after the campaign figuring out what was next. That entailed meditating and fasting and being in nature. What she landed on was an idea called Soul Force Politics — in short, the integration of mindfulness and democracy. Naturally, the idea needed a companion podcast. 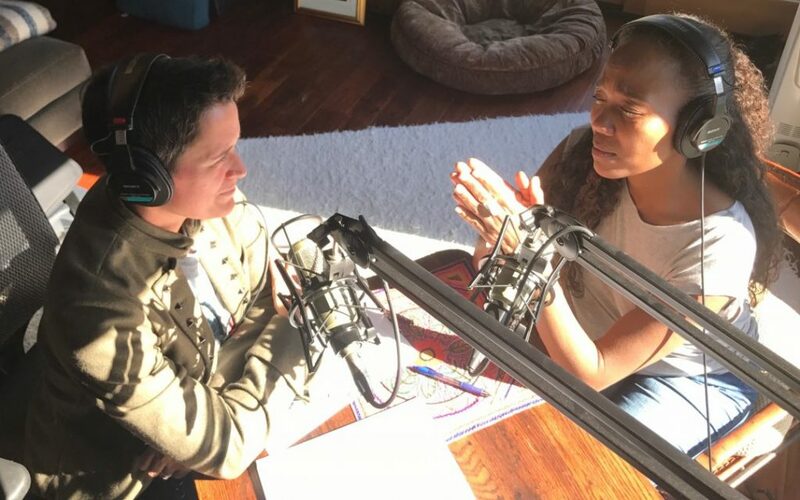 On her show, MizMaryland | Soul Force Politics, Mizeur interviews politicians and activists from whom she wants to learn. Those include political allies like Senator Cory Booker and former senator Barbara Mikulski, as well as those on the other side of the aisle, like Maryland’s Republican governor Larry Hogan and Republican congressman Andy Harris. The interviews aren’t your standard political fare because Mizeur isn’t your standard (former) politician. What Else Is On This Week’s Show? Why Won’t You Date Me? — Comedian Nicole Byer is on five dating apps and has had manifestly terrible luck on all of them. So she started a podcast to figure out why. In the process, she discovers some important things about herself — she can be unknowable and intimidating and a little emotionally stunted. Why Won’t You Date Me? is a refreshing and honest examination of the pitfalls of dating and how to navigate them. Unladylike — The word “unladylike” is often pejorative. But Cristen Conger and Caroline Ervin want to change that. On their podcast, they showcase stories from “rule-breakin’ ladies” about everything from how to confidently riding a bike to how to have successful, meaningful, mutually beneficial lady friendships. Previously, the pair hosted Stuff Mom Never Told You, where they faced down the challenges of womanhood together. Unladylike is the evolution of that. Letters From War — Almost a decade ago, an Arizona man bid on the contents of a storage unit. When he opened the unit, all he found inside were boxes upon boxes of letters. The letters were written by four brothers from Illinois over many decades beginning during World War II. The man who found the correspondence held onto the letters for years before contacting a reporter at The Washington Post about them. That reporter, Dan Lamothe, then did the most logical thing with the letters — he turned them into a podcast.